– Base; Alexa, like many, is a fan of the Laura Mercier tinted moisturiser. A sheerer base is the key to having glowy ‘no makeup makeup’ skin. It looks a little bit French I think, and a very classic look. 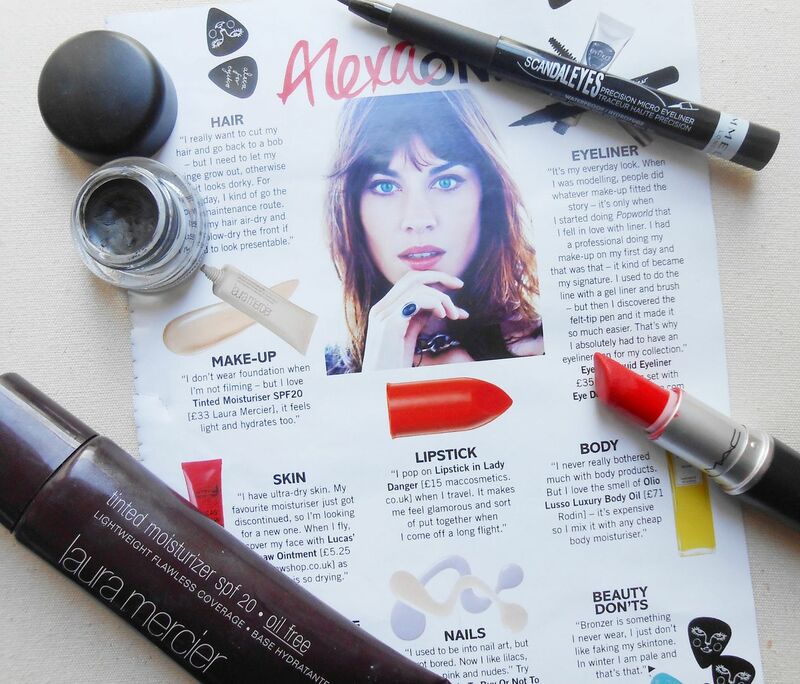 – Eyeliner; Alexa is obviously known for her trademark cat eye flick. In her eyeko collection she has an eyeliner, but any black eyeliner would do really. At the moment I am loving MAC blacktrack gel eyeliner… a post is due soon? – Lack of bronzer; I can get behind a lack of bronzer. As someone who is naturally pale, bronzers often look odd on me and I would rather just embrace the paleness. I am never going to be naturally bronzed and glowing, so I think I should just stick to enhancing what I have and not making my face look dirty. – Nails; pastels. That is all. Do you have any beauty idols?